An avid long distance road cyclist and fitness enthusiast, in 2006 Kim became a certified Mad Dogg SPIN instructor and became Schwinn Cycle certified in 2016. When asked why (she was getting certified) she only had one answer…because I can! 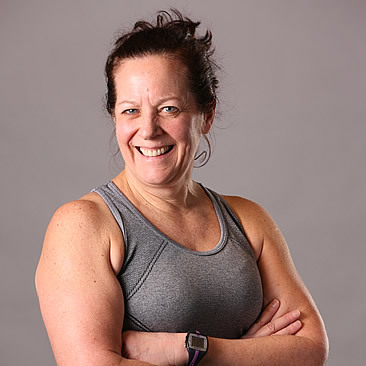 Currently a Star 2 instructor, spinning is Kim’s true passion – her class is fueled by the energy of fusing music that will motivate and inspire with a ride that will challenge all fitness levels. Kim believes that proper form=positive ride experience=a desire to keep coming back for more. Join Kim and come find your inner spinner. Why?…because you can!